Colour-dipping is so hot right now and nothing is off limits. All you’ll need is a few cans of spray paint, some pots of paint and masking tape to turn drab into fab. Here are our top 17 colour-dipping ideas you can do over the weekend. Gardening tools can lose their lustre quickly if left outdoors over time. 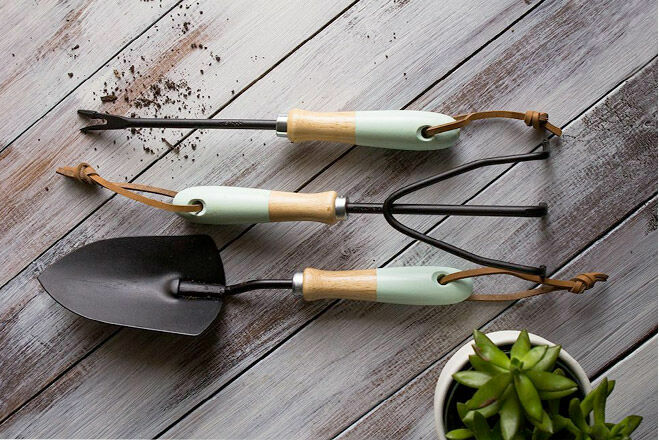 Sarah Hearts shows us a great way of re-vamping the gardening tools and making them worthy of a spot in the sunshine. A quick paint-dip and new leather handles is all it took to turn these into a gardeners dream! Your plant pots just got prettified! 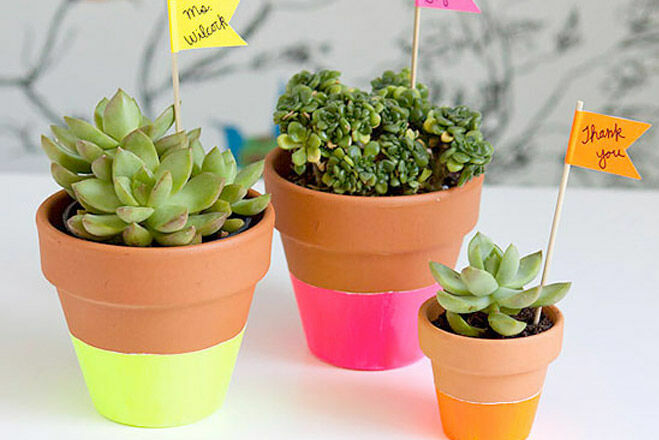 HelloBee shows us how to make these nifty neon planters in six simple steps. We reckon the kids could even help with this one! It’s a great weekend project for the whole family. This is one for the kids! 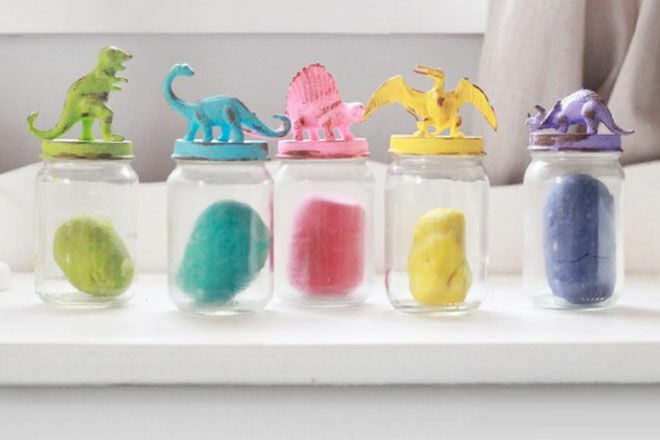 Spend an afternoon going crazy with colour on their plastic toys and create funky jars for storing craft supplies! Lolly Jane gives us a step by step guide on how to jazz up our jars. 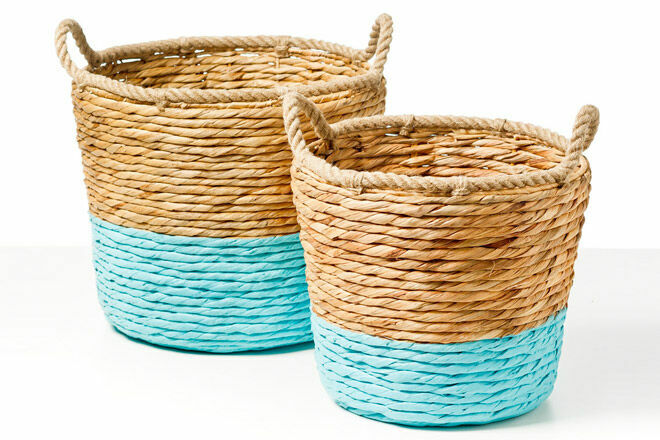 If your washing baskets are looking a little worse for wear, take a tip from Seeds and Stitches. The pairing of white or natural wicker with popping colours will brighten up any room, and if it makes doing the laundry a tad more bearable we’re definitely down with that! Ok, so we’re a little bit jealous that we didn’t come up with this idea ourselves! 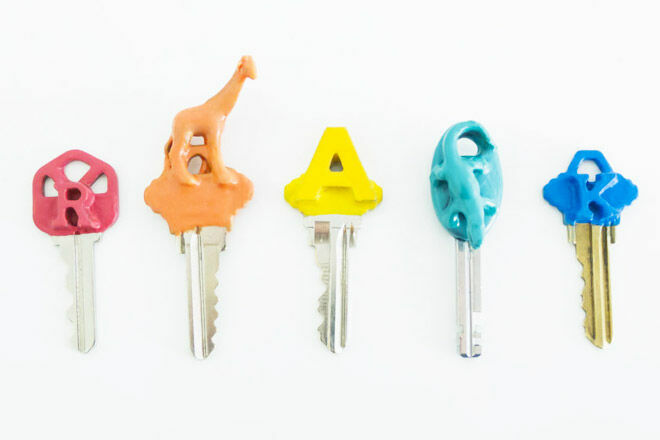 Ever thought about getting creative with your keys? Take a look at how Design Milk stick, dunk and dip their bronze and silver to make playful keys for all. The Lane give us a rundown of their favourite flatware hacks. 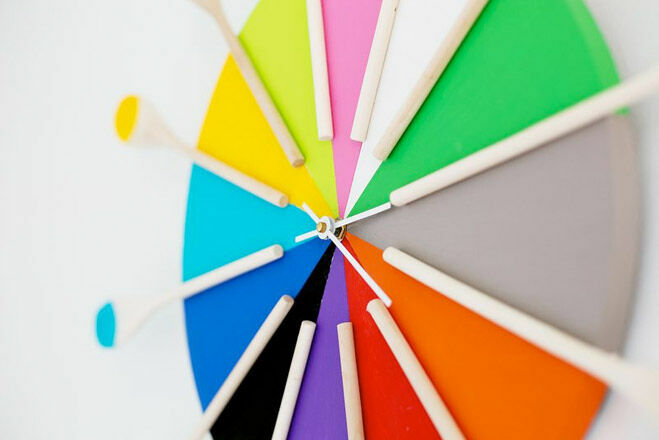 Check out the different ways of colouring cutlery in minutes! You can coordinate colours with the rest of your kitchen or take a walk on the wild side and clash like crazy. Either way, all you need is sticky tape and your colours of choice! Take a peek at this great tutorial from A Beautiful Mess and see how easy it is to brighten up those kitchen walls. 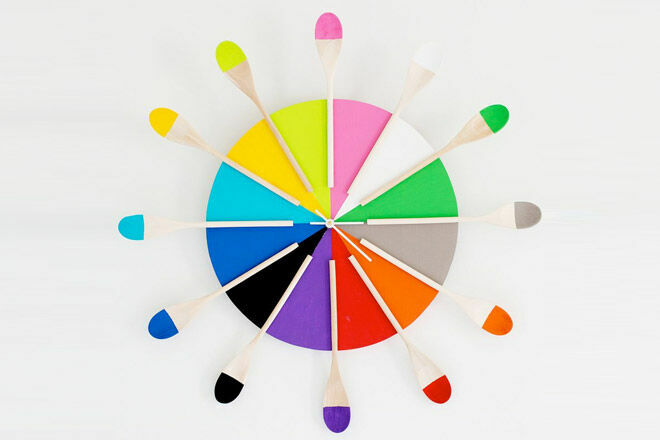 We love the quirky use of wooden spoons – Why not try with whisks or spatulas! Three, two, one, dip! 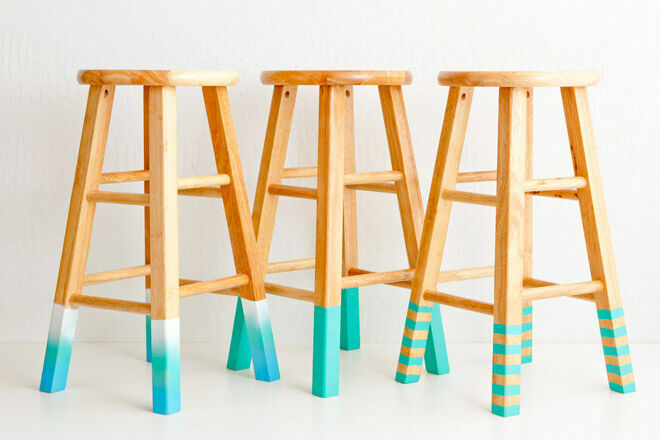 Brit + Co have an amazing tutorial for these three fabulous stools. Pick your favourite or make all three! We love this idea for summer styled seating! 9. Give your accessories a makeover! Dip or paint your fashion accessories for some fashionable fun! Take a peek at a pair & a spare’s DIY neon market bag for inspiration. The ‘half-dip’ look is so on trend! 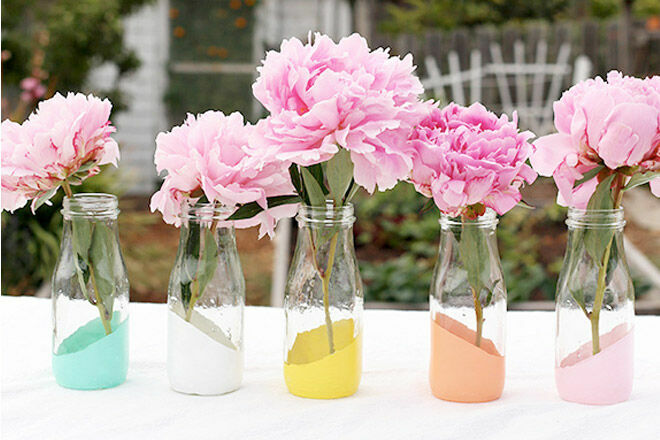 Milk bottles seem to be invaluable these days as we constantly come up with new and inspiring ways to use them around the home. Sayyes shows us how easy it is to achieve this fantastic look! These would be a great addition at any baby-shower or garden party! 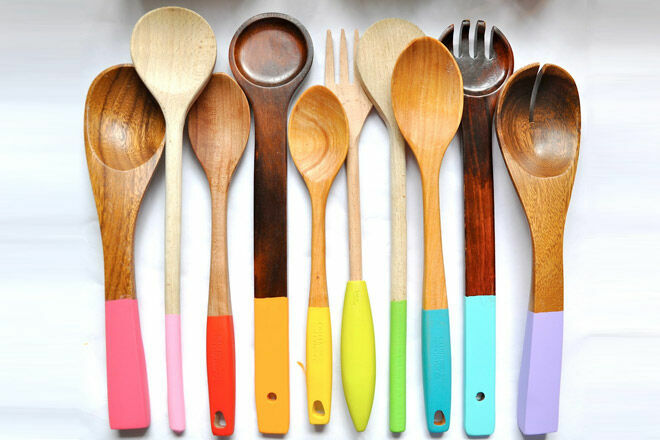 Let the utensils drawer taste the rainbow with this beautiful idea from Little Bit Funky. 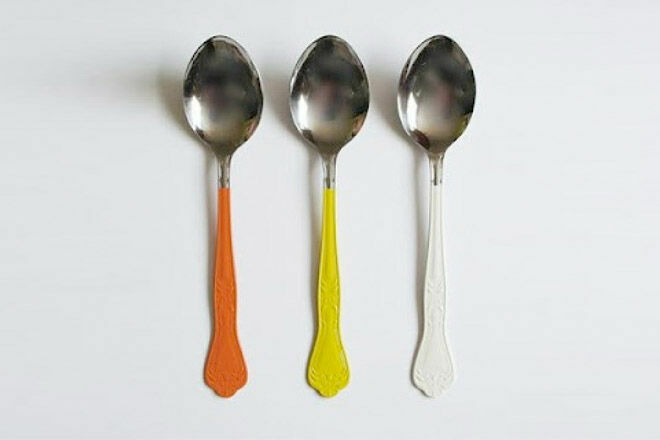 Check local DIY stores for food safe paints or simply keep your spoons for display only. Either way, these beauties are bound to brighten up the kitchen! 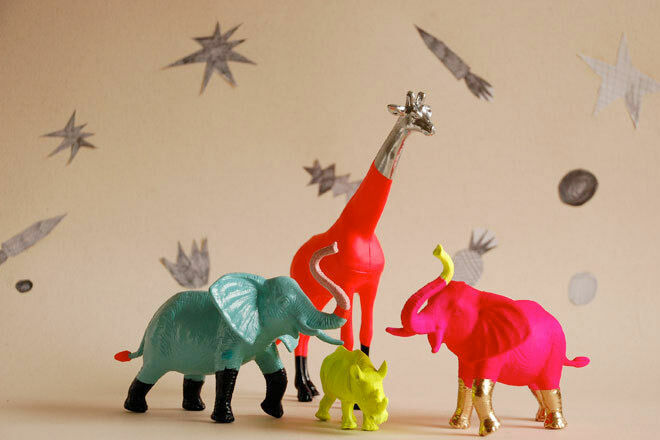 Rummage through the kids old toy drawers and see how many plastic animals you can find! These cute little creatures can be given a new lease of life with a bit of DIY dipping! Bridal Musings show us some of their favourite ways to use these whimsical characters for savvy styling. 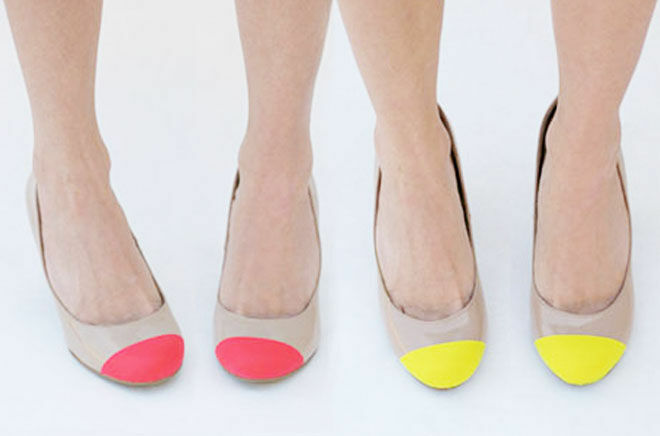 Make your summer wardrobe POP with this DIY from Green Wedding Shoes. Simply tape behind the toes and spray away! These beauties are enough to keep those toes tapping! Holy Moly! 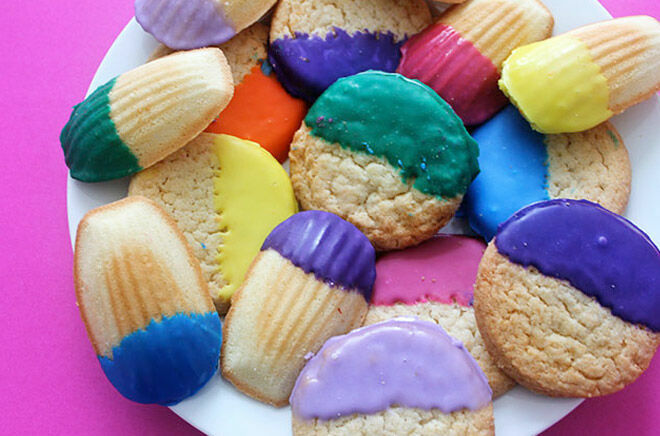 We could eat these Dip Dye Cookies all day long! Brit + Co have some colour block sweets that will well and truly get us on the road to making our food fashionable. Design Sponge are all over the paint dip phenomenon. 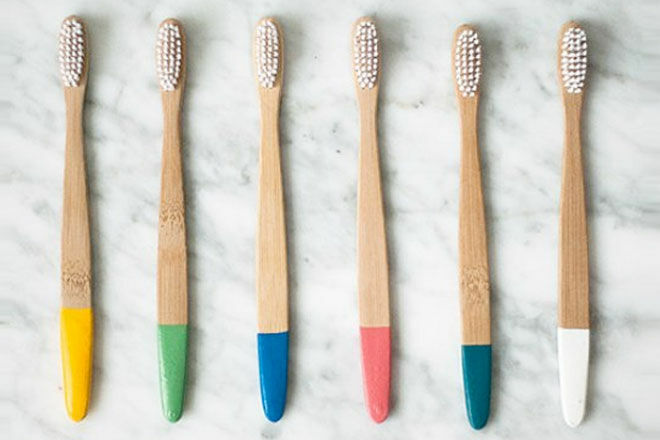 Take a look at these DIY rubber dipped toothbrushes! If you have a full house at home this is one way to keep the teeth cleaning tidy! We are absolutely in love with this idea from The Golden Sycamore! 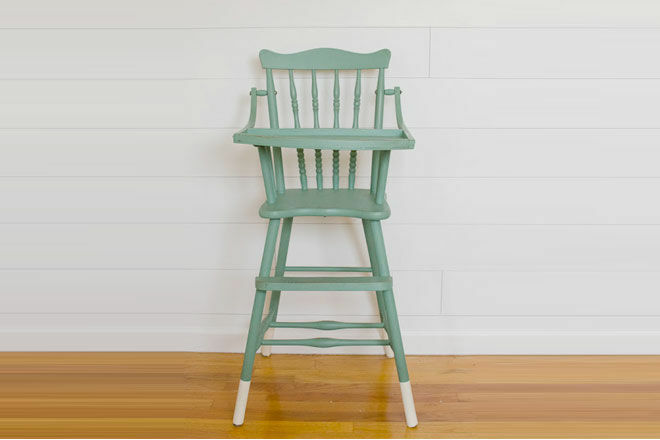 Who says old fashioned wood or nasty plastic highchairs have to change the look in your house? Paint dip your little ones perch and turn it into a stylish addition to your kitchen. 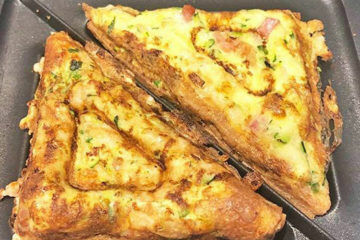 If you like to be adventurous with your food at home then why not take it all the way? 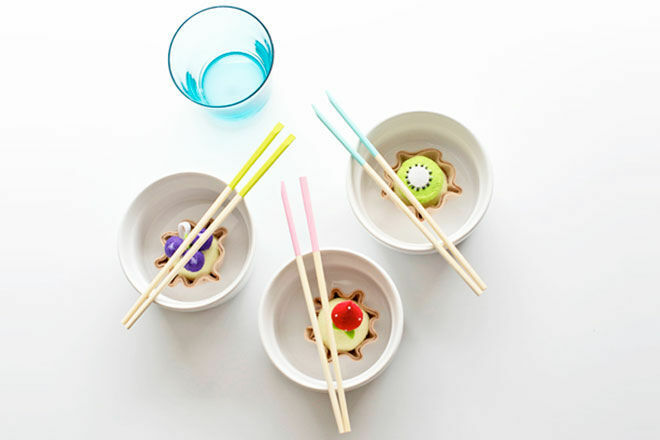 Colour dipping chopsticks will instantly spice up your cutlery draw and make you want to host dinner parties all year round!